What Is Our Definition of Work? Photo via Delilah & Company. Interestingly enough, I interviewed Myleik for behindthehustle.com back in 2015 for one of our “3 Lessons Learned” articles. In other words, I know her hustle! Speaking of hustle, I also know that when I share a common interest and philosophy with someone else, the least I can do is check out their profile to see what it is they do for work. In this case, I decided to check out the profile of @Reality_Check5. After checking out her profile and seeing that she is the DC Membership Manager for Women of Color in Communications, I decided to check out her company’s Twitter handle, @ColorCommntwk. It was here that I saw the following tweet to an article by Kayla Matthews via Inc. magazine about research saying that “40 hours Is Too Long Of A Work Week.” This really caught my attention and interest. As a result of this tweet, I was compelled to reply that our view and perspective of “work” will often determine whether or not we feel as though 40 hours is too long of a work week. I believe that when we do what we love, we’re more committed and devoted toward living and working with a greater sense of purpose. Thus, the energy that we are fueled with through passion and purpose will allow us to put in the adequate amount of hours required to achieve our goals. Most of the time, this will far exceed 40 hours! Are we allowing our “work” to occupy our time or optimize our time? Are we working towards meaning, significance, and purpose or towards making ends meet? Let’s take the money out of the equation and ask ourselves, “Why are we working?” More importantly, why are we working 40 hours? What are we working 40 hours on? Would we be doing what we are doing if we were not paid to do it? After a while, I believe that there comes a point and time where we must truly assess what we are doing and why. As Michael Jr. Comedy once said, “When we know our why, our what has more impact because we are walking in or towards our purpose.” This is often what differentiates those of us who live life on purpose from those of us who unfortunately fall into the dangerous time warp of society. Let’s ask ourselves, “How might we discover our purpose?” As a result, I’m sure this will eventually help to alleviate the pain of both working extra long and extra wrong. This past Friday I checked out Lewis Howes’, “5 Minute Friday” with guest, Glennon Doyle Melton. She shared some sensational insight on how envy can serve as our professor towards finding our purpose. We should be asking ourselves, “What makes us uncomfortable? All of our emotions are instructive. Especially the uncomfortable ones. Instead of rejecting envy, we should learn from it” says Glennon. As Tai Lopez mentioned in a recent post of ours, “Envy is the flashlight that illuminates our inner being.” This requires us to be brutally honest with ourselves. The sooner we can come to this awareness, the better off we will be. Brené Brown catches up with Oprah to discuss living life with bravery, courage, and truth in this episode of Living Brave. In this video, Oprah discusses the clarity of intention and how it helps us to live a more fearless life. She also makes time to discuss what it takes to lead a brave life while “disappointing” others and creating a kitchen cabinet of resourceful people who can serve as our truth-tellers. This very statement closely resonates with one of our posts from back in May of 2015 entitled, Trust Yourself…Do What Matters! Lastly, Brené Brown leaves us with a few wise words of her own, “If you’re brave enough often enough, you will fall.” Let’s learn to embrace our falls and move on with more courage, love, and mindfulness especially as we head into a new year. Happy 2016!!! As I was organizing my desk and sorting through some papers I came across an old note with an asterisk that read, *All In – Mr. Carmack & Kehlani. I remember writing this down this past summer after hearing the song on a Soulection mix via Beats 1 radio. I decided to revisit the song today and I happened to come across this #SongsFromScratch video presented by Adidas Originals and Yours Truly Creative. A few days ago I happened to stumble upon a documentary featuring Pharrell entitled, The Plastic Age. It was released on i-D magazine’s youtube channel back in April and produced by AllDAYEVERYDAY. It was a very interesting watch as it shared a lot of insight into the impact that plastic has on our planet. “In the 1950’s and 60’s, plastic was heavily marketed to consumers as a time saving device and matter of convenience” says Anna Cummins of 5 Gyres Institute. Today, it is estimated that we make 288 million tons of plastic annually. This is more than 1 BILLION TONS every 4 years! So what happens when this plastic escapes or does not make it into our waste management system? Where does all of this plastic end up? In the Pacific Ocean exists a “Great Pacific Patch” which is approximately 1500 nautical miles from shore. It was discovered by Captain Charles Moore in 1997. This is where anything that we throw into the ocean that floats eventually ends up. Captain Paul Watson, Founder of Sea Shepherd Conservation Society mentions, “We live in the most highly educated society that has ever evolved on this planet, everybody knows…the real problem is getting everyone to care.” His estimate of the number of plastic in our oceans is around 700 million tons. It’s important for us to think about what we use and how we discard it. Think about this, when we utilize plastic that is not properly discarded, it makes it’s way into our oceans. Shortly after, it is consumed by fish. Eventually it makes it’s way back up our food chain to be consumed by us humans. “The chemicals that are in plastic make their way up the food chain and now they are in us because we’re eating those fish” says Kahi Pacarro of Sustainable Coastlines Hawaii. 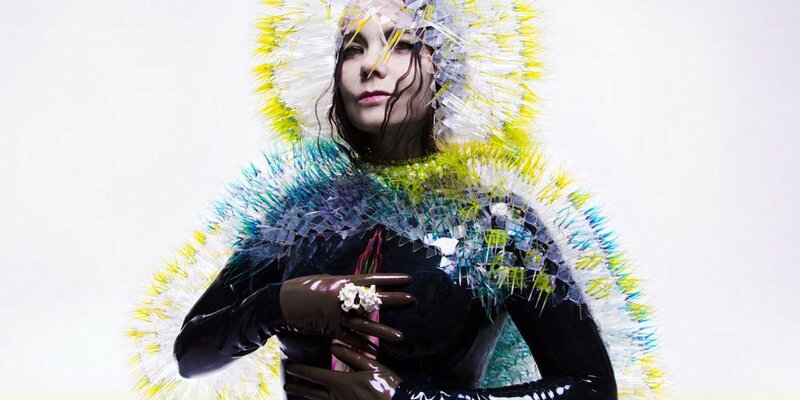 Björk was recently honored by Time magazine as one of The 100 Most Influential People of 2015. In her interview she mentions, “If you are really true to yourself and really follow your intuition in the most rigorous way, there is a moment that becomes universal, that reaches everybody.” I find this to be such a profound statement. It also happens to be a re-occurring theme in my life at the moment. Just a few weeks ago, both myself and a good friend of mine discussed the importance of staying true to ourselves. I shared with him one of my favorite quotes, “Those who mind don’t matter, and those who matter don’t mind.” Does this sound familiar? It is argued as to whether it originally stems from Bernard Baruch, Mark Young, or Theodor “Dr. Seuss” Geisel. Let’s leave that for the experts to debate. I believe that it’s time for us to start giving our best. Within following our intuition and doing what matters exists a certain level of courage and fortitude. It takes a lot to step up and speak out. Whether it’s mentally, physically, or both. It’s time that we become as breathtakingly true to ourselves as we can possibly be. We owe this much to both ourselves and the greater world at large. Be great, be proud, do what’s different, do what matters!